Australian Adventure Series: The Best Things To Do In Tasmania! So far we've highlighted some of the best things to do in Queensland and Byron Bay in our Australian Adventure Series. 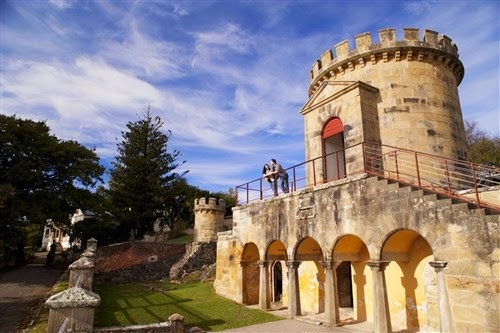 The list continues, with things to do in Tasmania! Tasmania, the island state, is part of the Commonwealth of Australia and separated by the Bass Strait. So yes, it IS part of Australia. And amazing. Promoted as the 'natural state,' almost 45% of Tasmania lies in reserves, national parks, and World Heritage Sites. It is the perfect place for outdoor adventurers, and very reminiscent of British Columbia terrain in some aspects. Stay at the Alabama Hotel. Located in the state's capital city of Hobart, the Alabama Hotel feels like it was picked up out of Portland and transported directly to Tasmania. Quirky, fun, and completely unique, the Alabama is an experience in itself. Have a coffee or cocktail while you check in since it's all in the same place, throw on a record or lounge on the patio, and… did we mention you get to sleep with Bill Murray? You'll have to go there to find out how. Visit MONA. 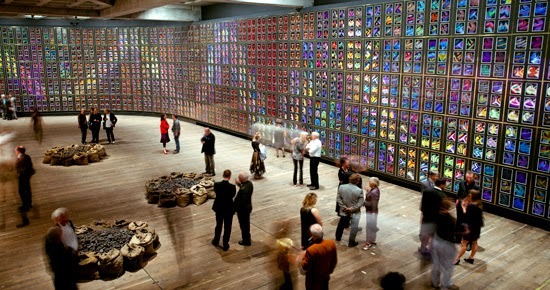 Take a trip to the Museum Of Old And New Art, the largest privately funded museum in Australia. According to CNN Travel, MONA is "the crowning achievement of Tasmanian David Walsh, a mathematician and art collector who made millions perfecting algorithms that let him beat casinos and bookies at their own game." Visitors are given an iPod touch that uses GPS to work out which artwork they are standing in front of, then gives a running commentary from Walsh himself, interviews with the artists and plenty more. Get out a map and explore. Tasmania is small enough to drive around entirely, but big enough to pick a region to stay in if you have a shorter amount of time to explore. With so many national parks, reserves, and beaches to see, you'll never be short on adventure. Cradle Mountain, Mount Wellington, and Freycinet National Park are a few stand outs, with numerous hiking and walking trails to keep you busy for days. Wineglass Bay is considered one of the most beautiful beaches in the world, with a stunning view of the bay and trails leading all the way down to the beach. Discover something new in the old cobble stone streets and landmark towers. Take one of the many historical tours offered, or just explore the city streets and alleyways on your own. Stay at Montacute Boutique Bunkhouse. While in Tasmania, make sure to check out one of Hobart's newest, and most popular, bed and breakfasts. A cozy, colonial building in the historical Battery Point district, Montacute Boutique Bunkhouse is a great blend of past and present. Hire (rent) a bike from them for the day and explore the city, or stay in and read by the fire if the fickle Tassie weather isn't on your side. With an open kitchen, friendly owners, and communal dining table, you'll feel like family at the Montacute.